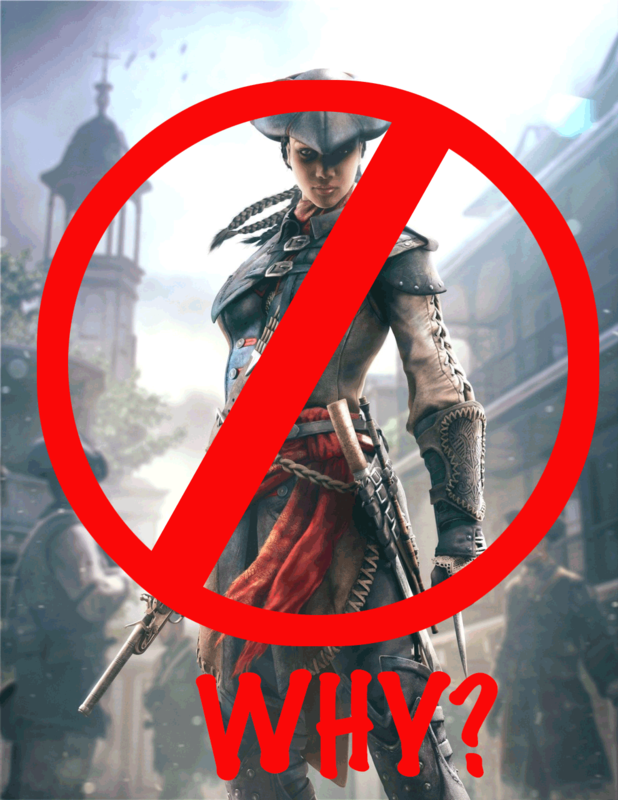 [Gaming Ramblin’] Ubisoft’s problematic playable women characters glitch. So as the E3 continues to roll on, the Ubisoft fallout over no playable women characters continues on blogs from Bennett North‘s to Chuck Wendig. I hope James Therien isn’t the biggest whiner in the world because his sound bytes sure sound like he’s biggest whiner, ever. Did some fact checking via the web*: Aveline de Grandpré from Assassins Creed III and Black Flag was a playable character. So that means, all the code these whiners are complaining about is already in the computer. And sure, it may take a while to “update” aka spend time but it’s already been done. If the code for a playable female character is already in the computer why are we even having this conversation? 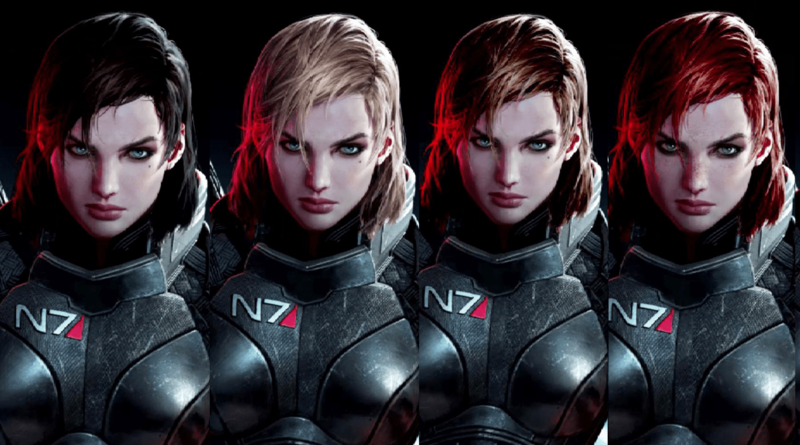 Instead of continuing with the playable female character that had been a plus for Ubisoft like it was for BioWare when female Shepard popularity shot through the roof, instead, we get a speed bump and negative traction on social media. MMORPGs have been doing player customization for years while console games have struggled to catch up to make sure their On-Line version can be played out of the box. Patches come later. Personally, I enjoy customizing characters. I’d rather get shot by someone different then just a different tinted Master Chief. Why isn’t Cortana a playable character? It’d be fun to get killed by a giant blue naked A.I.. She’s a reverse Dr. Manhattan. Hell, even EVE On-line got into it. Downloadable Content (DLC), Season Passes and pre-order to play XYZ character is unfortunately the next big thing. I say unfortunately for several reasons: 1. I want to customize and choose playable characters (like Harley Quinn) out of the box. 2. Oh, right, is this extra feature going to work next year when the iteration of the game drops? Question 3. See question 2. Question 2 is big problem if like me you play Call of Duty Games. Call of Duty has become a annual national holiday in upon itself. And none of the DLC’s or levels are portable. Player customization for sandbox games like GTA, Saint’s Row, Watchdogs and Dead Rising is half the fun of these games. It should be half the fun of any game. Code and time be damned. Ubisoft should be able fix this problem by the time the next game launches. Ask for forgiveness and pledge that playable female characters will be on their to-do list going forward. Hey, if Microsoft can dump the Kinect out of Xbox One then Ubisoft can do this. If they can’t and if their upcoming game The Division has no playable female characters then it’s more than time to start a letter writing campaign. * If I got my facts wrong, I blame the web. Move along. ** Yes, I’m repeating myself with that Tiger Woods line. This entry was posted in Conventions, Geekdom, Video Games and tagged assassins creed, female characters, ubisoft, video games by RK Bentley. Bookmark the permalink.